Gratia Financial, LLC is a unique registered investment advisory boutique. As a life-concierge and financial-fiduciary, we offer highly personal and confidential services for a select clientele. Ongoing research of life and financial issues, along with the application of sound principles, are what bring success and satisfaction for our clients. We are a “fee only” advisory firm. Our clients contract with us to do a job: to help them with life and money. We are a fiduciary; we sit on the same side of the table as our clients without conflict of interest. We partner with our clients to help make wise decisions that benefit them. gratia (grä’-tē-ä) is the Latin term for unearned or unmerited favor; grace. It is Life’s gifts; Life’s ongoing benefits that deserve our gratitude. Each day, the sun rises and falls; it shines its light, warmth and energy to produce more Life. This is gratia. When gratia, grace, or graciousness is acknowledged, it summons gratitude, or thankfulness; the most gratifying mindset for real Life and Wealth. Gratia is the mind-set of our company. We are pursuing, for ourselves and our clients, an ongoing awareness of grace & gratitude. Our Mission Through ongoing research and the application of time-tested principles, we provide our clients a safe & sound roadmap toward realizing their financial goals. 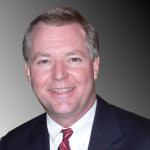 Randall Swetnam is the owner/principal of Gratia Financial, LLC. He has served to help people make wise decisions about life and money for over 30 years. His experience is seasoned and well-rounded. This disclosure brochure provides information about the qualifications and business practices of Gratia Financial, LLC. If you have any questions about the contents of this disclosure brochure, please contact Randall S. Swetnam at 816.388.0773 or Randy@GratiaFinancial.com. The information in this disclosure brochure has not been approved or verified by the United States Securities and Exchange Commission or by any state securities authority. Additional information about Gratia Financial, LLC is also available on the Internet at www.adviserinfo.sec.gov. You can view the firm’s information on this website by searching for Gratia Financial, LLC or the firm’s CRD number: 165462. This brochure supplement provides information about Randall S.Swetnam that supplements the Gratia Financial, LLC (“Advisor”) disclosure brochure. You should have received a copy of that brochure. Please contact Randall S. Swetnam at 816.388.0773 or at Randy@GratiaFinancial.com if you did not receive Advisor’s brochure or if you have any questions about the contents of this supplement. Additional information about Randall S.Swetnam is available on the SEC’s website at www.adviserinfo.sec.gov. Commitment to Your Private Information: Gratia Financial, LLC has a policy of protecting the confidentiality and security of information we collect about our clients. We do not, and will not, share non-public personal information (“Information”) about you with outside third parties without your consent, except for the specific purposes described below. This notice has been provided to you to describe the Information we may gather and the situations under which we may need to share it. By accessing this website, you confirm your agreement with and understanding of the following conditions of use without limitation or qualification. Please read these conditions carefully before using this website. This website is offered to you conditioned on your acceptance without modification of the terms, conditions, and notices contained herein. Your use of this website constitutes your agreement to all such terms, conditions, and notices. Gratia Financial, LLC reserves the right to, and may at any time; change the terms, conditions, and notices under which this website is offered. You are bound by any such revisions and should therefore periodically visit this page to review the then current terms and conditions to which you are bound. The material on this website is for your information only and is not intended as an offer, or a solicitation of an offer, to buy or sell any investment or other specific product. Although all information and opinions expressed on this website were obtained from sources believed to be reliable and in good faith, no representation or warranty, express or implied, is made as to its accuracy or completeness. Gratia Financial, LLC (GF) does not provide legal or tax advice and the information presented on this website does not constitute such advice. Consult a properly qualified professional on all tax and legal matters. While Gratia Financial, LLC uses reasonable efforts to include accurate and up-to-date information on this website, errors or omissions sometimes occur. All information and content on this website is furnished “AS IS,” and GF makes no warranties or representations as to the accuracy of this website, and makes no other warranty of any kind, implied or expressed. Under no circumstances shall GF nor any party or person involved in creating, producing, or delivering the website be liable for any direct, incidental, consequential, indirect, or punitive damages that result from the use of, or the inability to use, the materials on this website, even if an GF authorized representative has been advised of the possibility of such damages. If you or any of your employees or agents access or use this website for account access, you acknowledge and agree that such ELECTRONIC SERVICE IS BEING MADE AVAILABLE TO YOU OR SUCH OTHER PERSON WITHOUT ANY WARRANTY WHATSOEVER, EITHER EXPRESS OR IMPLIED, and you agree that any such access or use will be solely at your own risk, and GF will have no liability whatsoever relating to or arising out of any such access or use or any inaccuracies, errors, delays, omissions or other problems or failures of any such electronic service. Moreover, you agree that if you or any of your representatives, employees, or agents are given any user name(s), and/or password(s) which may be required to access or use any electronic services (collectively, “User Codes”), (a) you shall take all necessary actions to preserve the confidentiality of such User Codes; (b) you shall restrict access to the User Codes to those persons who are duly authorized to act on your behalf; (c) you shall notify GF immediately in the event any such User Code is lost, stolen, or the confidentiality of any such User Code has been compromised in any way or the authority of any person to act on your behalf has been revoked or limited; and (d) you are responsible for and will be bound by all statements made and instructions, assents and consents communicated under any such User Code, to the same extent that the same was under your duly signed writing. GF owns and maintains this website. Nothing contained within this website shall be construed as granting, by implication, estoppels or otherwise, any license or right to use any image, trademark, logo or service mark contained within the website. No act of downloading or otherwise copying from this website will transfer to you any title to or license under any software or material contained within this website. GF reserves all rights with respect to copyright and trademark ownership of all material contained within this website, and will enforce such rights to the full extent of the law. You may not modify, copy, distribute, transmit, display, perform, reproduce, publish, license, create derivative works from, transfer, or sell any information, software, products, or services obtained from this site without GF’s written permission. Images displayed on this website are either the property of, or used with permission by, GF. The use of these images by you, or anyone else authorized by you, is prohibited unless specifically permitted herein or otherwise by GF. Any unauthorized use of the images may violate copyright laws, trademark laws, the laws of privacy and publicity, and communications regulations and statutes. As a condition of your use of this website, you agree that you will not use this website for any purpose that is unlawful or prohibited by these terms, conditions, and notices. Links to Third-Party Sites This website may contain hyperlinks to websites operated by parties other than GF. Such hyperlinks are provided for your reference only. GF does not control such websites, and is not responsible for their contents. GF’s inclusion of such websites does not imply any endorsement of the material on such websites or any association with their operators. Materials contained within this website are meant to be reviewed in their entirety, including any footnotes, legal disclaimers, restrictions or disclosures, and any copyright or proprietary notices. Any disclaimers, restrictions, or disclosures apply to any partial document or material in the same manner as they do the whole, and will be deemed incorporated in the portion of any material or document that you consult or download. In order to provide better service and to maintain the security of the website, GF may use a “cookie.” A cookie is a small piece of information that a website stores on your computer and can later retrieve. When you access this website, GF’s web servers may place persistent cookies on your computer in order to recognize you and to facilitate your use of this website. We also use a session-based cookie that provides for continuity of navigation while viewing the site. After closing the browser, the session-based cookie simply terminates. Although you can set up your web browser to inform you when cookies are set or to prevent cookies from being set, this may affect the functionality of this website.